The Corridor of Discernity: Is cricket ready for Ajmal and his new best friend? Is cricket ready for Ajmal and his new best friend? Unless your shoes are covered in red clay from the time you could walk, winning the French Open is likely to be the toughest task in tennis. McEnroe never managed it, Sampras never even made the final and even Federer, regarded by many as the best ever, can count only one victory amongst his 16 Grand Slam titles. Winning a Test series on the sub-continent is cricket's equivalent. It was beyond even Steve Waugh's great Australian side and has proved way beyond the world's current number one team. The capitulation of the English batting line-up in Abu Dhabi on Saturday made for particularly strange, if compelling, viewing. I had the feeling of witnessing something profound, a changed game. 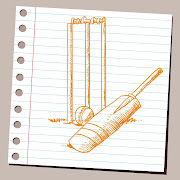 Now of course cricket is always evolving, or indeed revolving, but its essence has always remained the same. Having watched DRS' impact on that last day's play, I am no longer sure. The general consensus is that the onus remains on the English batsmen. They must sharpen up. On the sub-continent, with DRS, the margin of error is much smaller. They must improve their judgment, particularly of length, and more generally come up with a strategy that will achieve more than just survival. All this being said, has the balance may not have swung back too far in the bowler's favour. Has that margin of error been reduced too much? The LBW law was first introduced in 1774 for reasons of fairness - to prevent negative pad play. In 1883 the MCC vowed to "discount and prevent this practice by every means in their power". Amended many times, there is now little argument as to its correctness. What has never changed, partly because it is not written down, is the discretion granted to umpires to give the benefit of the doubt. Technology, firstly in the form of the 'landing strip' and then Hawkeye, has however served to reduce this doubt. Umpires, with Darrell Hair very much a pioneer in this regard, have become much more confident in giving batsman out on the front foot, with spinners like Graeme Swann the chief beneificiaries. Nevertheless before DRS, where there was doubt it was still the batsmen who received it. Whilst that benefit remains with the review system, it is the umpire who is now the recipient rather than the batsman - a decision will only be overturned if Hawkeye shows a clear error. And we are yet to see the full effect of DRS. Even if it has been around several years, it has never been used consistently or uniformly on sub-continental pitches. It was not even used in Pakistan's series victory over Sri Lanka in the UAE less than four months ago. Furthermore in the post Murali/Warne era, even where such conditions have arisen there have been few bowlers skillful enough in terms of accuracy and deception to exploit them fully. In Saeed Ajmal, Pakistan now have such a bowler. Ajmal is the perfect soldier for a new kind of warfare. Bowling relatively straight to maximise the doosra's effect, Ajmal's subtle and seemingly indicipherable variations have bamboozled the English batsmen. He is not a huge turner of the ball which is to his advantage. LBW is his preferred method of dismissal and for that a bat's width is sufficient - any more than that he risks falling foul of DRS, his new best friend. Eleven of his seventeen wickets in the current series have come in this manner. In the finest spinning bowling tradition, from William Clarke, to Bosanquet to Warne, Ajmal also uses psychology to throw batsmen off guard - he didn't even coin the phrase 'teesra' (Saqlain Mushtaq did that a few years ago) and certainly there is no clear evidence that he has developed a new ball - which he then backs up with wonderful control to create stiffling pressure and, in the case of England's batsmen, near paralysis. With a batsman's mind so befuddled, a straight ball can be as deadly as viciously turning one, something which has benefited not only Ajmal but his fellow spinners too. Earlier in the week Mike Atherton suggested that the DRS may actually lead to the teaching of different batting techniques. He was referring to younger players but from an English perspective such remedial work cannot wait till next week let alone until the next generation. As Alistair Cook amongst others has already noted, some techniques, namely those which involve a reliance on pad play, simply do not work any more. With DRS the pad is more a landmine than protective armour. The solution though is not simple. Much is made of the skill and success of two members of the England coaching team, Andy Flower and Graham Gooch, in playing spin. Both however relied heavily on the sweep shot, a positive tactic which can serve to disrupt a bowler's rhythm. But that was pre DRS. Playing across the line and across your pad is now a very dangerous tactic as Kevin Pietersen has found. Others advise batsmen to use their feet and indeed this can be very effective - both in negating spin and in disrupting a bowler's rhythm. But it is also very dangerous if you don't know which way the ball is spinning and in any case, unlike Graeme Swann, Ajmal tends to bowl quickly and relatively flat making a chassis down the pitch all the more difficult. In effect for the first time in cricket's history, DRS is ensuring that the lbw law is properly enforced and batsmen, at least the English batsmen, are struggling to adjust. It is initially tempting to view this as a return to the purity of cricket's origin - a simple game of bat and ball. But cricket is not a simple game and the LBW law is perhaps the least simple aspect of it. The law originated when such definitive judgment was inconceivable and my concern is whether such enforcement, particularly on sub continental pitches, ensures a fair balance between bat and ball. The 16 LBWs in the match was the third highest total in 2032 Test matches. Will this become the new norm? Of course it is far too soon to come to any reasonable judgment on this, and certainly too early to predict a doomsday like scenario. For all we know DRS may lead to the emergence of more bowlers of Saeed Ajmal's skill and not just in the sub-continent. By consequence, more countries may be encouraged to produce pitches that take spin earlier in the game. Can this be a bad thing? From a batting perspective we may also see a revolution in technique and in particular footwork, with batsmen regularly advancing down the pitch, Trumper-like, attempting to impose their own will on the game. Does this not sound like a glorious future? It may be the reality, but it also may not.